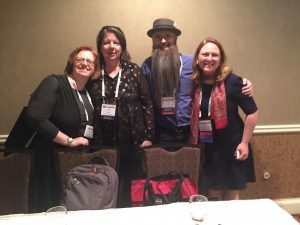 This year at Pub U, I was fortunate to host a panel on click to buy techniques with the wonderful Joshua Tallent from Firebrand, Michelle Hoppe from Book Boutiques, and Elizabeth Turnbull from Light Messages Publishing. I am a passionate believer that we can drive our own sales with focus on a few things: really strong metadata and great outreach. Here are some of the best practices that we all use every day. First, you need your customers to find your book. Here are some ways to find new readers and engage loyal fans. Pledge to buy – This works best as author outreach, but it’s important to be strategic. In addition to other media, have people take a simple pledge to buy. The tool gives you a list to message 3 weeks, then 1 week from release, and reminds them to make good on their pledge. You get to capture the email address for marketing, and continue to market to that customer. Recommendations from reviewers (NetGalley) – Early reviews are critical, so NetGalley is powerful. When you launch your book, send release announcements to reviewers with the links where they can post their reviews at minimum. If you really want leverage, save names to a netgalley list and contact them when you have a new book to offer, and send an open widget. Custom samples (TextCafe) – TextCafe is one of our favorite tools in the marketplace, and our clients get a very special price. You can open a sample on the web, and read chapters of any book. Nice, right? But you also have easy social sharing buttons AND retailer links throughout. It’s a fantastic way to get new customers. Advertising – Remember that free sample above? A facebook add is the best way to get the word out about that. Did you know that ads with the word “Free” are clicked on 20x more than ones without? Time to share your free sample. You can also do advertising on Amazon, or external affiliate marketing as well. Or Bookbub the first book in the series for some serious market penetration. Newsletters – Authors should focus on their newsletters. Full stop. Those are guaranteed readers; you need to let them know when your books are out. Make sure your newsletters have content other than sales, but that are focused on your core market: fun activities, sharing other authors’ books, contests, and of course, bookbubs are all fodder for this. Okay, you’ve led these readers to the well of your creativity. Now how do you make them drink (and when I say drink, I mean buy your book right now)? Cover images – Sometimes, a book comes out and only does okay. It’s not setting any records, but you know it’s fantastic. Could it be that the thousand words your cover paints aren’t powerful enough? As Michelle said, “Don’t give up on the book, but be able to give up anything else.” Look at re-covering if that is the weakest link. Metadata (keywords, BISACs) – Customers Who Bought This are the most clicked spots on every retail website. Almost half the clicks on Borders’ websites took place there. So how do you get there? Keywords and BISACs. You can look at this two ways: frequency and relevancy. Is your book going to be perfect for a Charlaine Harris reader? Then check out her keywords. Try to end up in the same categories. Figure out how to target specific books to drive your sales. Backmatter links – Bookbub just released an article telling us something we’ve known and shared with you for years. When someone is done with a book, the smartest thing you can do is give them another book to read right away. Price campaigns / daily deals – Different promos work well at different retailers. Amazon is the king of Daily Deals, iBooks rocks First in Series Free, and Kobo really knows their way around a Buy Two, Get the Third Free. What really makes the difference, though, is author support of those promos. It’s important to sign up for them, but then make the most of it!